As we previously reported, (follow this link) Section 5300 of the Civil Code was amended in 2015 and becomes effective as of July 1st of 2016. 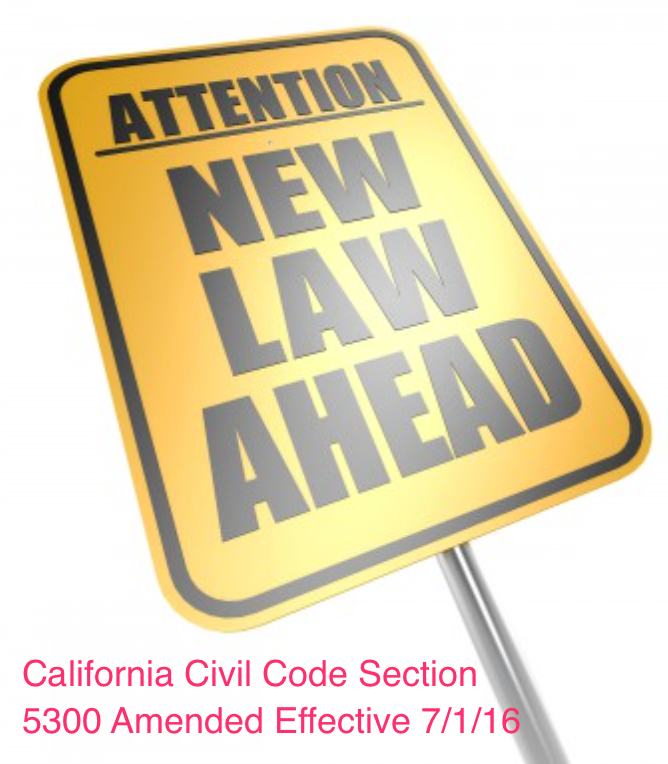 The changes to section 5300 of the Civil Code requires California community associations to include statements in their annual budget reports disclosing whether the Association is certified by the Federal Housing Administration (FHA) and Veterans Affairs (VA). If an Association’s fiscal year runs on or after July 1, 2016, it will be required to include the FHA and VA required information in the Annual Budget Report. Some important things to remember: the statements need to be in at least 10 point font, on separate pieces of paper, and must contain the specified/required language. Yes, we know that it seems like a waste of paper, but the code is very clear that the statements must be on separate sheets of paper. The changes to Civil Code section 5300 regarding the FHA and VA disclosures appears by its language to apply only to condominium associations, although this is not altogether clear. The required language for each disclosure asks whether the common interest development is or is not a condominium project. Why ask that if only condo associations are required to comply? And why would only condominium associations be required to comply? There is legislation pending that will help resolve this confusion by not requiring a disclosure as to whether the common interest development is (or is not) a condominium project. Because of this confusion, many are suggesting that all community associations including planned developments provide the FHA and VA disclosures. Want more information regarding FHA certification? Follow this link to an article in Coachella Valley’s newsletter providing excerpts from CAI National’s Guide To FHA Certification.